Siemens is to connect the world’s 122 Volkswagen factories. To do this, the industry enters the group, the Cloud Alliance between Volkswagen and Amazon, to make the factories of the car manufacturer more productive. Siemens control, especially its Know-how in the field of automation and networking – this includes the quality of the data flow in the Cloud, announced the company on Friday. Thus, it is possible to network the machines and equipment efficiently in order to improve complex manufacturing processes. Cloud means that data are no longer locally, but on servers of external providers is stored. The Amazon Cloud is the basis of digitization in production and logistics. Goal is processes, better control, and more efficient manufacture as well as supply bottlenecks and errors at an early stage. Siemens makes it possible for its customer Volkswagen to increase productivity by data from the machines are analyzed with the help of the Siemens system, “mind sphere”, – stated in the message. Siemens and VW will also develop new features for “Volkswagen Industrial Cloud”. This should also be available to other partners in the data cloud. it is also, for example, the so-called predictive maintenance – pre-calculated, optimized maintenance cycles could be transferred to all VW locations. Of the data to the Cloud – connected suppliers benefit by adjusting their production. So the supply chain could better control the long-term approach to worldwide about 30 000 sites and more than 1500 suppliers part of the “Industrial Cloud”. Recently it became known that Volkswagen with the Amazon subsidiary Amazon Web Services has agreed to a multi-year development co-operation. By the end of 2019 to the start of initial services and features of the “Volkswagen Industrial Cloud”. This is not the only VW-cooperation with one of the American Tech-giant: the Volkswagen works in Cloud services, with Microsoft, to connect its cars to the full. Volkswagen had previously announced, to want to, by 2025, productivity in the entire production network – except for China – a 30 percent increase. VW-in-chief Herbert Diess said recently at a works meeting in Wolfsburg, Volkswagen “compared to the competition in our factories and in the administration slower and less productive”. He also made clear that the digitalization will cost jobs. This should be on old-age part-time in a socially compatible way. 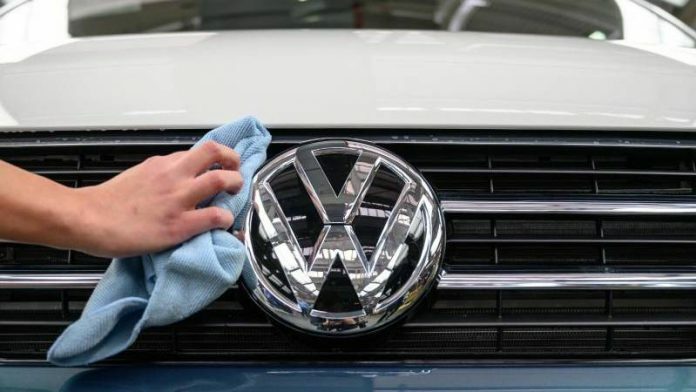 Recently, the VW brand passenger Car for day to day business competent Manager Ralf Brandstätter had announced that in the next five years in addition to 5000 to 7000 jobs will disappear. Volkswagen had last November an investment of 44 billion euros for digitization, Autonomous, and E-mobility in the coming five years announced. By 2020 each year, more than 5 million cars of the brand VW should be linked, on the market.